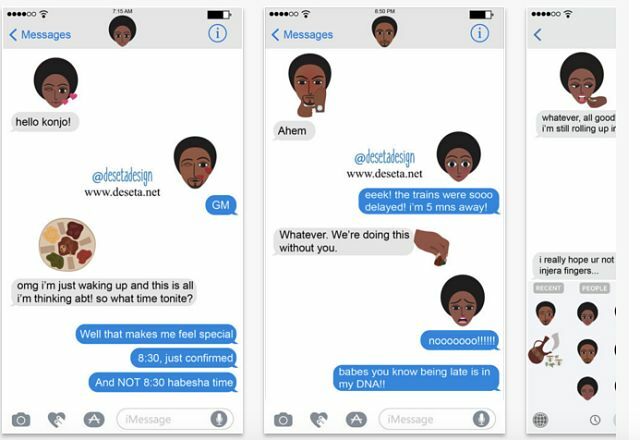 New York (TADIAS) — For your next text message you may now include Deseta Emojis to express yourself with Ethiopian humor. The digital icons often used to communicate ideas and emotions comes courtesy of Deseta Design. Announcing that its keyboard app contains over 200 small emojis Deseta Design says that the current collection is available for download on the App Store (Android version coming soon). 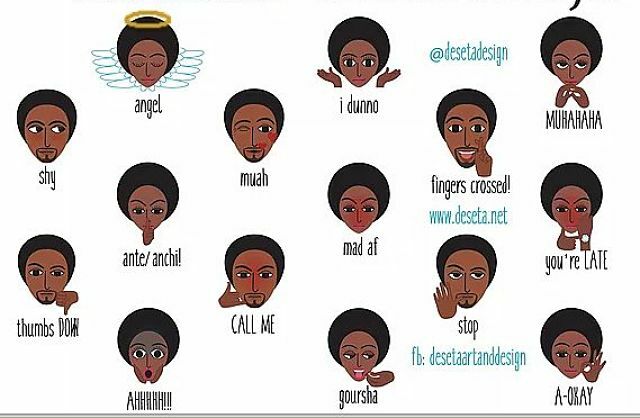 Deseta emojis include icons of injera, buna, jebena and goursha. The images “celebrate everything ethiopian in all of its glory,” says Maro Haile, owner of Deseta Design, an NYC-based online creative venture, whom we featured here three years ago highlighting her Ethiopia inspired holiday cards. So how does this cool looking app work? According to Deseta Design the emojis work in several ways including “a sticker pack that you can use while you are in iMessages and a keyboard that you can use in multiple messaging apps such as Whatsapp, Viber, and Facebook. Click here to download Deseta Emojis on iTunes.